By the Ordovician age (504 to 441 million years ago), the outcome of the solar energy- and floral oxygen- driven Cambrian explosion was manifest in the still accelerating diversity of trilobites (fewer families than in the Cambrian, but more morphological variation). With 100 million years of selective pressure behind them, the trilobites from what is today Russia developed unusual shapes, some with eyes on long stalks, others with jagged spines. Ultimately these magnificent animals, in whole or part, met their demise in earth's biggest ice age. During the Ordovician, what is now Eastern Europe was a shallow inland sea. 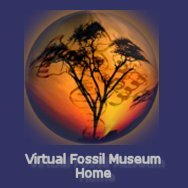 The fauna was rich and diverse, and included the early vertebrates. This was the heart of the age of the trilobite, a time when trilobites were not only diverse, but had undergone adaptations yielding striking morphologies. The trilobites of Russia, and specifically those coming from the Region near Saint Petersburg, are among those most cherished by collectors. The reasons are several, their exotic forms, superb preservation, and availablity. The Baltic limestone deposits that bear these trilobites was formed in seas of about 70 - 330 feet in depth in what was probably a large shallow basin. Scientists believe that this basin was repeatedly blocked from contact with the sea to the west,resulting in changes in both turbidity and salinity. Toward the end of the early Ordovician the connection was re-established, with substantial deterioration in visibilty in the seas due to the influx of more turbid water. At this time some trilobites developed raised eyes perhaps to impove their vision both of potential prey as well as predators. The "periscope eyes" of Asaphus Kowalewski were not yet evident as this species evolved somewhat later. While many trilobites were detritivores feeding on animal and plant debris in the bottom muck, Asaphids are presumed to have been necrophagous, meaning that they fed on dead carcasses, due to the shape of the hypostoma (platform for mouthparts). The remains of this ancient Ordovician fauna is abundant in the baltic region, and the city of Saint Pertersburg literally sets on a bed of Ordovician limestone. Many Ordovician outcrops occur south of Saint Petersburg, and far and away the most prolific yield of trilobites comes from the so-called Asery horizon that is some 20 metters thick near the Wolchov River. Some 20 genera and 100 species are found in exquisite, non-compressed preservation. Moreover, the limestone matrix (in a manner similar to that of Devonian Oklahoma) is relatively soft, enabling an expert with modern preparatory equipment to produce finished fossils that can seem life-like. The trilobite exoskeletons generally are extremely well preserved, and are a milk-chocolate color that contrasts well against the lighter limestone. Horizons above and below show the progenitors and descendents of trilobites from the Asery level, adding diversity to the trilobites from the region, and adding to a wonderful story of decent with modification. Some dozen trilobite families are represented, including Asaphidae, Illaenidae, Cheiruridae, Encrinuridae, Raphiophoridea, Lichadidae, Remopleuridae, Harpedidea and Phacopidae. Far and away the most prevalent, and the family best exhibiting the outcome of adaptive strategies, is the family Asaphidae. Some 30 species are believed to have descended from Asaphus broggeri that is found in the Wolchovian horizon, with possibly Paraptychopyge as its sole ancestor. The figure shows the bushy branching of Asaphidae as suggested by cladistic research spanning more than a century. Asaphus lepiderus replaced Asaphus broggeri, and represents a major branching to: 1) the very similar Asaphus expansus and 2) a new genus represented by Asaphus lamanskii. 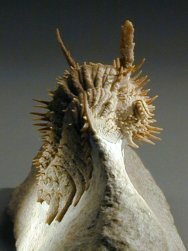 Asaphus lamanskii was successively superceded by Asaphus raniceps and Asaphus major that occur in the kunda horizon, and the much later Middle Ordovician termination of the branch with Asaphus delphinus; mysteriously, no intermediate forms are known. Asaphus expansus apparently gave rise to the remainder of the Asaphus line, which itself would undergo additional and exotic diversification. Asaphus applanatus began a tendency to larger width and genal angle, such as the impressive Asaphus platyurus. Also impressive was the succession of Asaphus kotlukovi, Asaphus punctatus, Asaphus intermedius and Asaphus convincens that express progressively higher eye stalks. 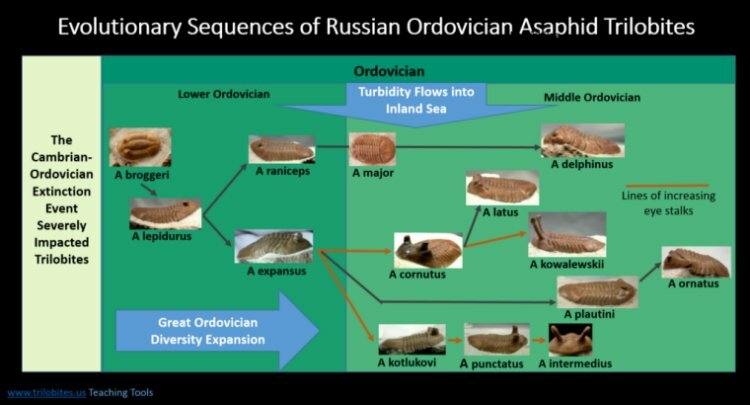 The same tendency of adaptation occured in a line that includes Asaphus cornutus and Asaphus kowalewskii, among several others. The Asery layer captures some 2 million years of rapid adaptive radiation, apparently in response to environmental challenges such as a more shallow sea, increased seaweed and higher acidity. The last descendents of Asaphus disappear in the layers of the Upper Ordovician, manifest evidence that adaptation has its limits. 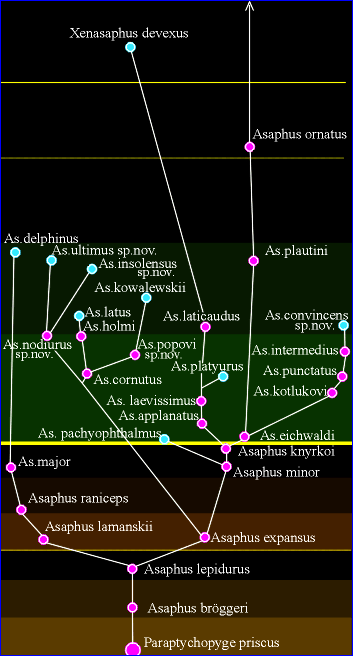 The figure below shows many of the species involved in adaptation of higher high stalks, notably the evolutionary lines both starting with Asaphus expansus, with one leading to Asaphus cornutus and Asaphus Kowalewskii, and the other leading successively to Asaphus Kotlukovi, Asaphus punctatus, and Asaphus intermedius. Click image to open a new page with a larger image and links to individual species.